POLSON – Arnold Lewis Irvine, age 68, passed away on Thursday, May 3, 2018 of congestive heart failure and other medical problems at St. Joseph Medical Center in Polson. He was born on June 24, 1949, in St. Ignatius, to Stanley and Cecille Finley-Lefthand Irvine. He was the fifth sibling of seven children. 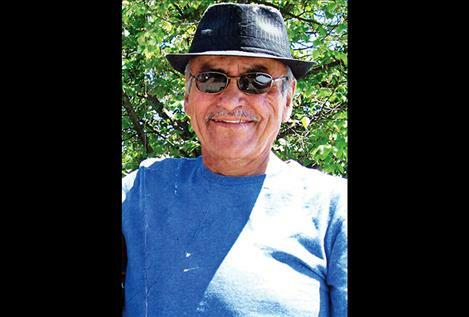 He enjoyed traveling and attending powwows in Montana, Idaho and Washington. He was an avid stick games player and also liked meeting with family and friends. He also enjoyed sports, including softball, bowling with friends and family, watching basketball and football and going to concerts. He loved spending time with his buddies, cousins, aunts, uncles, his children and grandchildren and many friends. He married Jody Matt in 1978 in Pablo. He had two stepsons, Richard Matt who preceded him in death and Robert Matt of Polson. Arnold loved his music, listening to old country music and Mo-Town. He enjoyed traveling around with Jimmy Hewankorn to set up his band and also loved dancing. He loved camping, fishing, riding around in the country enjoying the outdoor and Flathead Lake scenery. He also enjoyed cutting wood. He is preceded in death by his dad, Stanley Irvine, his mom, Cecille Matus, his sister, Juanita Irvine, his brothers, LeRoy, Robert “Bobby” and Ronnie Matus, his grandson, Isaiah Matt, his cousins, Charlotte Hewankorn, Jimmy Hewankorn and LaVerne Hewankorn and auntie, Nancy Joseph. He is survived by his wife, Jody Irvine, his daughter, Anitra Je’Net Irvine and his granddaughter, Aaliyciah Irvine, who he helped raise with his wife Jody and Anitra; his step-dad, Walter Matus, two brothers, Lloyd and Harold “Bubbins” Irvine, his aunt, Alice Hewankorn, as well as numerous nieces, nephews, cousins and friends. Funeral services have been held. Memories and condolences may be sent to the family at www.thelakefuneralhomeandcrematory.com.